Today, mobile shopping is on the rise. We now pay for goods and services using our phones more often than ever. For instance, we pay for services like taxi, booking movie tickets, purchasing products, groceries, ordering food, etc through different mobile apps. So, to grab the share of mobile payment market, WhatsApp will soon introduce a peer-to-peer payments feature with mobile payment gateway integration. According to a report from The Ken, WhatsApp plans to use UPI, a cross-bank payment system backed by the government, to enable payments through WhatsApp within next six months. In a statement WhatsApp told that “India is an important country for WhatsApp, and we’re understanding how we can contribute more towards the vision of Digital India”. It’s not a direct admission nor a denial, but the new peer-to-peer payment feature would make a lot of sense for the WhatsApp that claims to have over one billion active users worldwide. Moreover, after adding payments to its Messenger app, mobile payment gateway integration using WhatsApp to offer peer-to-peer payments makes much sense as it could be quite transformative for India, where Messenger is less popular. 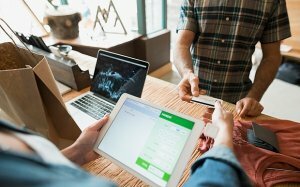 In fact, on a visit to India in February, WhatsApp co-founder Brian Acton Admitted that they were in the early stages of looking into how they can incorporate payment services in their product. In addition, WhatsApp said last year that it would explore the potential to provide “business that matter” to its users on its platform. Now, this feature was first scheduled to ship by the end of 2016, but it is yet to go live. Whatsapp (Subsidiary of Facebook) announced recently, its new app launch – the WhatsApp Business app for small businesses. In September 2017, Whatsapp officially announced and tested this app with few businesses such as BookMyShow and MakeMyTrip in India. On Wednesday, the new Whatsapp Business app for SMEs was released & is now live on Google Play Store. Currently, this app is available in Indonesia, Italy, Mexico, UK, and the USA. But, in upcoming weeks, it will be rolled out across the world. The Whatsapp Business app will also be accessible on Apple’s iOS platform. Currently, Whatsapp has 1.3 Billion active users and, with its business app, Whatsapp aims to make it easy for small companies to connect with potential customers. Business people can list their business through this app. Once, the business listing is confirmed, they can connect with customers & serve them. On the other hand, it will also help customers to receive required information like store address, contact details, and website. Furthermore, the average mobile user is a lazy animal who prefers everything wrapped and ready. So, Integrate Mobile Payment Gateway in the most popular chat app WhatsApp can benefit in many ways. In fact, according to Forrester reports, Mobile Commerce has surpassed a total of $142 billion in revenues with online transactions. 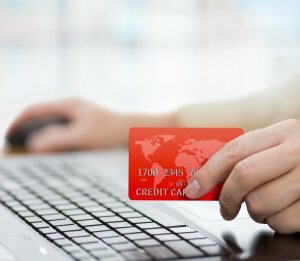 Now, more and more shopping apps, as well as chat apps, are integrating mobile payment gateway to offer online payments. Now, let’s imagine that you’re a desperate startup or an Entrepreneur, wanting to create a groundbreaking app like WhatsApp, you must take all responsibility for users’ sensitive data. For this, you can consider payment gateways that offer strong mobile libraries that do the biggest part of a hard job for you, but you’ll have to get this certificate. Also, you’ll need to have a general idea about merchant accounts. 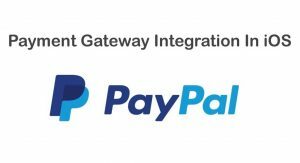 Now, let’s take a look at third-party mobile payment gateway processors. There are a bunch of mobile payment gateways these days. Some of them are widely known, where other are fresh and not so popular. We will start with Stripe. 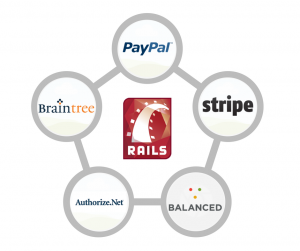 Stripe is noteworthy and trustworthy mobile payment gateway solution. It provides authorization, a checkout feature for mobile as well as desktop, analytics and many more options that every startup or an instant messaging app needs. Although, Stripe charges transaction fee between 2.9% and 30 per transaction. If you’re developing your chat app like Whatsapp for iOS platform, you can checkout our Apple Pay Using Stripe Guide to understand the implementation process. One more important thing that you need to know is about the chat market share is that as per statistics, around 25.2 trillion text messages have been sent across devices by the end of 2016. This figure is pretty enough to know the importance of an instant messaging app in our day-to-day life. As mobile apps exceeding the traffic of social media, we can easily predict that chat apps like WhatsApp, Hike, and Messenger are the future of messaging apps in the market. In fact, messaging is one of the most significant function that each smartphone user wants to have. And, even with the availability of WhatsApp, Viber, and Snapchat, people still constantly search for new and exciting messaging apps and use what they have to offer them. According to another report, people send out over 14 texts a day via apps or straight from their phone, which ranks the messaging as the most highly used feature on smartphones. Moreover, even though the messaging market already has successful apps like WhatsApp, WeChat, etc, there is still room left for more innovative and creative solutions. So, how to create a chat app like WhatsApp? Let’s start with the technology used to build a mobile chat app like Whatsapp. Since we’re talking about Whatsapp, its architecture was priced at $19 billion by Facebook while they acquired it. Does this mean it is that difficult to implement and build a chat app? Facebook paid $19 billion to WhatsApp founders due to its large and fast growing user base, which by the way is a point to consider for monetization strategy. What technology used for building WhatsApp? This server is used to process hundreds of thousands of messages instantly without any delay. However, you’re not obliged to use the same language for your chat app development. For instance, there are apps that are build with Node.js for all the backend coding. Now, let’s take a closer look on the essential feature for developing a chat app. Most mobile chat apps require users to sign-in with a phone number. WhatsApp, however, sends an SMS verification code for security reasons, and it is generally done through a 3rd party service API. Next, the user should also be able to import contacts from address book. In addition, you can also consider additional contact integration such as Gmail or Facebook. What else you can add? You app should be able to send and receive messages. Okay. That was a no-brainer. But, the process is not that simple if you consider all tiny details for your chat app development. Here’s the list of questions to guide you through the process. How will your app users start a dialog? Do you plan to offer one-to-one or group chats too? Will your app support only private chats or offer public chat rooms? Will you app offer scheduled messages? In addition, you can consider self-destructing functionality like Snapchat or secret chats feature like Telegram that are programmed to destroy the content on both devices. This element is essential to retain your users and keep them active within your chat app. And, best way to provide push messages is to allow users to customize the notifications they like to receive. Now, if you’re developing chat app for iOS, you can opt for native Apple Push Notifications, and if you’re developing for Android platform, we suggest to use Firebase Cloud Messaging. Your outsourcing mobile app development company can brief you about both. In fact, you can implement Sockets and Sockets Streams to smoothly streamline all communication between your users. This approach enables faster and more efficient communication between your app and the servers. Apart from normal texts and emojis, users love the feature of sharing media such as photos, videos, GIFs, stickers, and so on. For chat apps, stickers are one of the top monetizing options. However, In addition to media transfer, you can also offer sync services like Google Cloud, Dropbox, Evernote and so on. Though, it adds up extra development costs. Believe it or not, but people like the feature of location sharing in all chat apps. For this, Apple Mapkit and Google Location SDK offer the native toolkit for integrating location sharing in mobile chat app. In addition, you can also consider implementing indoor geolocation sharing feature in your chat app. Beacon and iBeacon sensors can catch when a friend is passing by. While all these features looks common, but they’re the most essential ones. In fact, message market shows continuous evolution, and they’re still many chat apps that gets a decent market share. To sum up, as more people across the world use smartphones for messages, calls, and internet, the mobile chat apps have become a hub for communications, entertainment, and payments. Although, there are many WhatsApp clones in the market which duplicated the whole WhatsApp concept, but if your chat app idea is better or at least different, messaging market is what you should go for. This page was last edited on October 6th, 2018, at 6:07. Want to Develop a Chat App Like WhatsApp, But Only Better? Then Fill Out The Form!